WASHINGTON - They sat facing each other, 14 evangelical preachers on one side, 12 U.S-based Arab diplomats on the other. Nabil Fahmy, the Egyptian ambassador to the U.S., listened as introductions began, and he found himself amazed. "Robertson, Falwell, Youssef. ... I had heard these names before," Fahmy later recounted, "and I have to admit I was surprised they were here. The initiative launched at that July 2 meeting came as a surprise to many. The evangelical community is known for its support of Israel, and many of its most outspoken leaders, such as Pat Robertson and the late Jerry Falwell, have made incendiary comments about the Muslim world. But in recent months, an unusual rapprochement has begun between these two powerful communities, and the sons of some of those same pastors are participating. Whether this dialogue will lead to any concrete changes in an increasingly tense environment remains to be seen. "These interfaith dialogues often take a long time to produce any tangible results," said John Green, a senior fellow at The Pew Forum on Religion and Public Life. "The evangelicals have had similar dialogues with the Jewish community and with Roman Catholics. The impediments to cooperation between evangelicals and Muslims are much larger, but more understanding could have a much greater effect." The initiative grew out of a private meeting between Benny Hinn, a televangelist who draws millions of viewers to his dramatic faith-healing campaigns, and a handful of Arab ambassadors this year at the Washington home of Nasser bin Khalifa, who was then Qatar's ambassador to the United States. Those who attended included Gordon Robertson, son of Pat and co-host of "The 700 Club"; Jonathan Falwell, whose father, Jerry, died in May; Paul Crouch Jr., whose father, Paul Crouch Sr., founded Trinity Broadcasting Network; and Joshua Youssef, son of Michael Youssef, an Egyptian-born evangelist. They are part of what is being identified as a new generation of evangelicals with a less confrontational style and a broader political agenda. Richard Cizik, vice president for governmental affairs of the National Association of Evangelicals, which represents 60 denominations and 45,000 congregations in the United States, attended the meeting and said it demonstrated the generational changes. "The idea of a dialogue is extremely good, though there will likely be little impact on Middle East policies," said Aaron David Miller, a Middle East scholar at the Woodrow Wilson Center. "The relationship between the evangelicals and Israel is so close that there is very little danger of it being disrupted." Not only are the evangelical participants questionable in their participation in terms of their theological depth on knowledge of Islam and interreligious dialogue, but their views related to Israel are problematic as hinted at in the last paragraph quoted from the article above. Indeed, it has been argued by scholars such as Stephen Sizer, that such thinking in evangelicalism represents a form of Christian zionism which he discusses in his book Christian Zionism: Roadmap to Armageddon? (IVP, 2007). While evangelical-Muslim dialogue is rare, and it desperately needs to take place, this void needs to be filled by qualified evangelical participants and this present scenario is frightening with the potential to hamper effective Christian-Muslim relationships rather than move it along in more promising directions. "Dialogue, as I understand it, means a sustained conversation between parties who are not saying the same thing and who recognize and respect the differences, the contradictions, and the mutual exclusions between their various ways of thinking. The object of this dialogue is understanding and appreciation, leading to further reflection upon the implication for one's own position of the convictions and sensitivities of the other traditions." "The loving which is expressed through the attempt to listen and understand and honor, through the frank recognition and appreciation of convictions that deny one's own, through the opening of one's imagination to the real otherness of the other, is, in my view, the function of interfaith dialogue." "As a counter-aggression the Church developed a crusading ethos that became a fundamental feature of its tradition, an ethos which even today is second nature to many Christians." I find each of these quotes helpful in reflecting on contemporary dialogue between Christianity and the new religions, particularly in the contexts in which I am involved, that of evangelical-Mormon dialogue and Christian-Pagan dialogue. First, Taylor defines dialogue, and although dialogue is taking place in various ways between Christianity and the new religions it is not always defined for those involved and those watching the process. In the second quote Taylor discusses dialogue as a means of both respect for the "religious other" and as a means of self-transformation on the part of the Christian dialogue participant. This aspect is similar to that expressed by Leonard Swidler in his "Dialogue Decalogue" discussed previously on this blog. Third, in the final quotation Taylor notes that a "crusading ethos" has become an important part of the Christian tradition in relation to the "religious other." Perhaps if we are reminded of this facet of our tradition that persists in our postures in regard to the new religions then we will be able to move beyond it. John A. Saliba, S.J., has been professor of religious studies at the University of Detroit Mercy since 1987, having taught there since 1970. Born in Malta, he holds licentiates in philosophy and theology from Heythrop College (England), a diploma in (social) anthropology from Oxford University, and a Ph. D. in Religion and Religious Education (1971) from the Catholic University of America. In the early 1990's he took part in a three-year study of the new religious movements conducted for the Vatican by the International Federation of Catholic Universities. He has compiled two annotated bibliographies on the new religious movements: Psychiatry and the Cults (New York: Garland Publishing, 1987) and Social Science and the Cults (New York: Garland Publishing, 1990). His more recent publications include Christian Responses to the New Age Movement (London: Geoffrey Chapman, 1998) Perspectives on New Religious Movements (Walnut Creek, CA: Altamira Press, 2nd ed., 2003), “Psychology and the New Religious Movements,” The Oxford Handbook of New Religious Movement, ed. by James R. Lewis (NY: Oxford University Press, 2004), “The Study of UFO Religions: A Review Essay,” Nova Religio: The Journal of Alternative and Emergent Religions, vol. 10.2, November 2006, 103-23; and “Teaching New Religious Movements: Views from the Humanities and the Social Sciences,” in Teaching New Religious Movements, ed. David Go. Bromley (Oxford University Press, 2007). Morehead's Musings: Dr. Saliba, thank you for your willingness to answer a few questions related to dialogue with new religious movements (NRMs). You wrote an article for the Journal of Ecumenical Studies in 1993 and at that time you wrote that the literature on new religions by Christians reflects "fear, suspicion, confrontation, antagonism, and belligerency." Do you think that these types of attitudes still tend to a general perspective in the attitudes and relationships between Christianity and the new religions? John Saliba: I am not sure to what degree these attitudes prevail (since I wrote my essay). I think that there’s a little more tolerance (and maybe understanding) among people who have come into contact with new religions. This may be caused by several factors: the new religions are less visible than they used to be. Thus, you do not see, for example, members of the Hare Krishna Movement evangelizing their faith in the open as frequently as you used to. Also, members of the new religions seem to have adopted a less confrontational approach in their recruiting efforts. Again, many members of the new religions have “grown up,” both in age and in maturity. And further, several NRMs appear to have made some accommodation to Western culture. What is interesting is that one finds less mention of “cults” in newspapers. Even at conferences of professional societies, there are fewer sessions on NRMs. [Exactly what this means is not yet clear]. MM: In your article you also mention that the debates within Christianity about the new religions tend to center around questions of orthodoxy, and that the "standard theological response to the new religions has been apologetic and dogmatic." How might the various branches of Christendom, particularly some expressions of Protestantism, need to move beyond this in order to develop a broader theology of religious pluralism and engagement of the religions, particularly the new religions? John Saliba: First, for a good survey of the major theologies of religion, a survey which also evaluates these theologies, the best book I have come across is Paul K. Knitter’s book, Introducing Theologies of Religion (2002). MM: As a follow up to this, you also wrote that the anticult [or counter-cult] movement "is neither an appropriate Christian response nor a productive social and religious reaction to the rising pluralism of the late twentieth century." Now that we have moved into the twenty-first century, do you still feel this way, and how do you see dialogue with the new religions as a more promising facet of a different response? John Saliba: It seems to me that Christian charity should play a decisive role in the way Christians should treat people of other faiths. This does not imply that Christians must agree with the belief systems and moral behavior of the NRMs. Many of the actions of the anticult movement have intensified both the social and religious conflicts between people of different faiths. Moreover, some of the reactions against the NRMs have not been a good advertisement of Christianity. While it is appropriate to make it clear how the NRMs differ from Christianity, this should be done with respect to the religious freedom which we all desire. Of course, not all NRMs are open to genuine dialogue, just as not all Christians are prepared to enter into dialogue with people of other faiths. MM: Your article interacts with Leonard Swidler's "Dialogue Decalogue." You note that he wrote this for ecumenical dialogue, and with dialogue between Christianity and world religions, but that "Swidler did not seem to have the NRM's in mind." What types of problems have you noted in dialogue with NRMs that might necessitate a modification in Swidler's Decalogue as applied to this context? John Saliba: Swidler’s article deals with dialogue between religions that has been taking place for a while. Dialogue between traditional religions and NRMs must take into account several new factors. Till recently at least, most members of NRMs have been converts to the new religions. Some many harbor some dissatisfaction with the religions of their upbringing. Some modifications of the Swidler’s rules are necessary for dialogue with NRMs. Since some dialogue has in fact taken place, one can start by observation what went well and what didn’t in such interactions. But one must note that just as Christians have to be educated in the process of dialogue, so have members of NRMs. MM: Are you aware of the various forms of evangelical-Mormon dialogue that are taking place, the controversy that surrounds them, and do you have any reflections on this? John Saliba: Yes, I am aware of this dialogue, but I must admit that I haven’t followed it in detail. One of the problems in such dialogue is that there are different views as to where the Mormon Church fits into the religions of the world. Is it a branch of Christianity (mainly Protestantism), a syncretistic faith, or a new religion, sui generis? Some Christian groups list Mormonism with “destructive cults.” Also, Mormonism has a very aggressive evangelization program and, according to some scholars, is one, if not the most, fast-growing religion. Dialogue with Mormonism may have its unique difficulties. As a Christian I feel that I should make an attempt to start a dialogue. My attempt may be unsuccessful or I may run into serious problems which might necessitate the termination of the dialogue. MM: One of the problems that seem to be involved in the evangelical-Mormon dialogue from both sides of the religious divide is a questioning of motives and honesty in the dialogue partners. How does this attitude conflict with the idea of Swidler's ideals for dialogue partners, and how might it represent a serious challenge to this expression of dialogue that calls into question whether evangelicalism is ready for such dialogue? John Saliba: The questions regarding motives and honesty are serious ones. In general, one must assume good motives and honesty in others, unless there is clear evidence to the contrary. In all forms of dialogue, one can assume that both parties have some evangelical intentions. If nothing else, they are making sure that misunderstandings of their faiths are corrected. 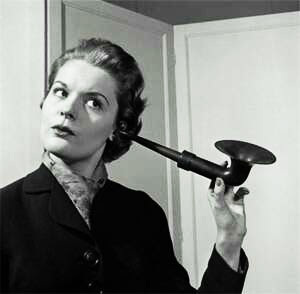 Blatant expressions of evangelicalism would include direct or indirect attempts to covert the other party, unwillingness to listen to others and to correct one views if this is needed, and efforts to monopolize the conversation. Needles to say, such expressions are not conducive to dialogue. MM: You also state in your article that "[m]embers of both new and traditional religions who take a conservative dogmatic stance are not ready for interreligious dialogue." Can you describe what you mean by this? John Saliba: By a conservative dogmatic stance I have in mind the following: an attitude which stresses dogma, that is, which beliefs are true and which are false. This is a judgmental attitude which leads to conflict. Dialogue is not a discussion forum. Those in dialogue are not called to evaluate the views of the other parties engaged in dialogue. While people in dialogue should not be afraid to bring out differences between different faiths, the stress should be to find points of contact and cooperation. Of course, this applies also to Christians. MM: In your view, why is dialogue with the new religions necessary? John Saliba: New religions are here to stay, though I personally doubt that anyone of the current new religions will ever become a major faith. They have many members and they have also created some problems (e.g., between parents and their adult children). These problems can be better solved of alleviated by dialogue, rather than by some form of conflict. Thus, for example, the conflict between parents and their children who have joined NRMs cannot be addressed, much less solved, by mutual antagonism etc. MM: Your article concludes with a suggestion of various "steps toward dialogue." Can you summarize these for us? John Saliba: I have not developed this section to any degree. In general, I would say that correct information about NRMs needs to be disseminated. People must be educated in the implications of religious freedom. And ways of coping with both the psychological and theological problems brought about by pluralism must be found. I have briefly dealt with these issues in my book Understanding New Religious Movements (Altamira Press 2003). MM: Do you have any other thoughts that might reflect a development in your views on these issues since you wrote the article? John Saliba: There are different kinds of dialogue. Thus, for instance, dialogue between the Christians Churches is not the same as dialogue between Christianity and Hinduism. There is also dialogue between scholars and dialogue between what one could call the average believers who are not theologically trained. I think more work needs to be done regarding dialogue between average believers. MM: Dr. Saliba, thank you again for answering these questions and for your contribution to dialogue with the new religions. Shortly after my relocation to Utah for seminary studies two years ago I became involved in a great project through Salt Lake Theological Seminary. After two years of planning, scripting, editing, and production, followed by a year of languishing without sufficient funds for mass production, Grounded-- Salt Lake Theological Seminary's new training program for youth -- is finally available for order! 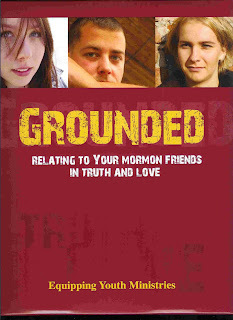 Similar to the relational approach to evangelism to Latter-day Saints that underlies the seminary's popular Bridges program, Grounded speaks to teens and young adults from mainstream Christian backgrounds who are seeking ways to balance commitment to their faith with the friendships they have developed with Latter-day Saints. This exciting, fast-paced training program explores ways Christian youth can have honest friendships with Latter-day Saints while maintaining the integrity of their own beliefs and effectively sharing their faith in Jesus Christ. The fully packed 5-week curriculum invites young viewers to dig deeper into their faith and get grounded in Jesus Christ. The program includes a 5-part movie documentary on DVD filled with interviews with Christian and Latter-day Saint teens, a Student Workbook with daily faith-promoting activities, and an extensive Leader’s Guide full of additional resources on the history and theology of the Mormon Church and helpful tips on effective evangelism. The Grounded training program costs $95 plus shipping. This price includes the DVD, the Leader's Guide, and one Student Workbook. Additional workbooks can be purchased for $5 each. Those interested in receiving a preview CD for Grounded for youth or Bridges for adults can send a request to me via email to johnwmorehead@msn.com or by phone at (801) 728-0334. I look forward to promoting this new resource and to preparing youth and adults in a cultural and relational understanding of the Latter-day Saints. 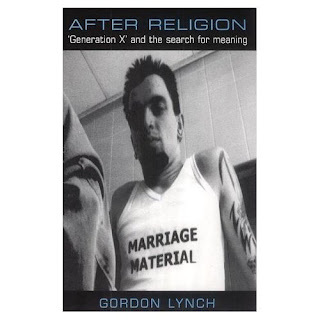 Interview with Gordon Lynch: "After Religion: 'Generation X' and the search for meaning"
Gordon Lynch is Professor of Sociology of Religion at Birkbeck College, University of London, and the author of four books addressing different aspects of religion, spirituality and contemporary culture. He has previously trained as a counsellor and taught counselling studies for four years, before moving on to lecture in practical theology at Birmingham University. He has a range of interests in contemporary culture, and also has a Masters’ degree in Art and Design History. He was the co-founder of the UK Research Network for Theology, Religion and Popular Culture and is co-chair of the Religion, Media and Culture group within the American Academy of Religion. His most recent book (just out in June) is The New Spirituality: An Introduction to Progressive Belief in the Twenty-First Century (IB Tauris, 2007). Morehead's Musings: Gordon, thank you for agreeing to answer some questions for this interview. I was intrigued by your book After Religion: 'Generation X' and the search for meaning (Darton, Longman & Todd, 2002). You begin this book somewhat autobiographically as you share your own story of growing up Evangelical in the U.K. only to lose your faith. Can you summarize some of your personal story? Gordon Lynch: It’s hard to summarise this briefly, but essentially like many other people, I found that the Evangelical culture that I lived in didn’t grow as my experience of myself and the world did. In my case, I became much more conscious of issues of suffering and how it was hard to reconcile what I heard and sang about God in the Church with the realities of many people’s lives. I totally accept that for some people these tensions can be resolved within the Evangelical tradition, or Christian faith more generally, but for me, once I’d started to question things I found that this eventually left me outside the mainstream of the Christian tradition. This was a slow process, taking several years to work through. In terms of where I am now, broadly speaking, the ideas that I’ve been writing about in The New Spirituality represent the religious milieu that I’m more comfortable with. MM: Can you also tell us something about your academic background, where you received your training and what academic posts you have held and currently hold? Gordon Lynch: Like many people interested in religion and contemporary culture, I’ve had quite an eclectic background with degrees in theology, counselling psychology and art/design history, from universities in Durham and Birmingham in the UK. I think that getting a handle on contemporary religion and culture demands an inter-disciplinary approach, and that sharp social analysis requires us to engage with theories and methods that we wouldn’t necessarily get simply on traditional theology degrees. MM: In the book you set the social and cultural stage for the first chapter titled "After Religion?." Can you describe the differing attitudes to traditional religion and Christianity in the U.K. and the United States? And do you see any general trends towards the types of spirituality that people seem to be moving toward and experimenting with that might be at odds with traditional church experiences? Gordon Lynch: This is a really big question. To put this briefly, in the USA there is much more residual connection to institutional religion in the UK. In the UK, only around 6% of the population attend church on a regular basis and this will probably fall a bit more for demographic reasons in the next couple of decades. People are also more likely to say that they are not religious (or spiritual) in the UK than they are in the USA. However, under the surface there may be more similarities. Two recent studies of youth attitudes to religion and spirituality – one in the USA, Soul Searching by Christian Smith and Melissa Denton, and one in the UK, Making Sense of Generation Y by Sara Savage et al – actually came up with very similar findings. These were that young people, regardless of what their formal connection to religion was, actually placed little emphasis on religion in their lives. In Smith and Denton’s terms, where young people did think about God, God featured as a divine therapist only to be sought out in times of trouble, and as someone who rewarded good people with heaven when they died. God or religion played little active role in these young people’s sense of meaning and identity – their sense of meaning and value seems to come from elsewhere. In terms of spirituality beyond institutional religion, I’ve actually become much more sceptical about how widespread this is. 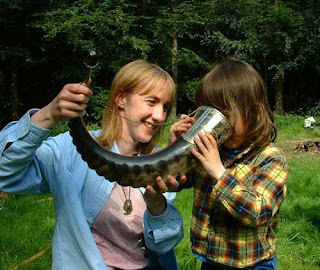 The numbers of practising Wiccans and Pagans in the UK and USA are tiny, for example – probably just over 1% in the USA at most. Similarly when Heelas and Woodhead measured the number of people actively involved in alternative spiritualities in the town of Kendal in the UK (which has a relatively thriving alternative spirituality scene), they found that only 1.6% of the population were involved. I suspect that the reason why Mind-Body-Spirit sections of bookstores have grown is that people who buy books in that genre tend to buy lots of books of that kind. Similarly, surveys of bookstore genres suggest that there are roughly similar numbers of specialist alternative spirituality bookstores to specialist comic bookstores. In terms of the wider population, these are pretty minor scenes. I suspect that in the UK, the default position is for people not to be interested in spirituality at all, and in the USA where people are interested in spirituality they’re most likely to combine with this some form of Christianity (albeit it mixed in with some elements from other traditions). MM: You point out in your book that "Generation X" is often defined by a certain age range through date of birth. But you take exception to this. Can you briefly describe the influences on your thinking here and touch on your suggestion that Gen X might more helpfully be thought of as a mindset? And can you summarize the various qualities that you see exemplifying Gen X? Gordon Lynch: I’m personally not sure how useful the term Generation X is now, because it’s too in-grained in people’s minds as a description of a particular generational cohort (i.e. ‘baby-busters’ born between the early 1960’s and late 1970’s). My scepticism about this was fuelled when I read an interview with Douglas Coupland (the author of the novel Generation X in which he lamented the way in which a certain ironic, detached yet longing approach to life that he portrayed came to be depicted as the attitude of a whole generational group. I wrote After Religion at quite an early stage of my thinking about these issues, and I wouldn’t even talk in terms of a "Generation X" set of attitudes now. People are more complex than this, and its probably more of a priority for missiologists to think about the very different ways in which people find meaning, value and purpose in life – and the spiritual horizons they construct for themselves – rather than trying to construct generalized patterns of ideas and values. Having said that, Ronald Inglehart’s work on post-materialist values is worth thinking about as a reflection of a contemporary shift in values, as in Paul Heelas and Linda Woodhead’s work on the turn to the self in their book, The Spiritual Revolution. MM: In one section of the book you talk about the post-evangelicals and the emergents within evangelicalism. Why do you see this as an important facet of late modernity and the Gen X mindset? Gordon Lynch: In After Religion, I was trying to describe an approach to faith which was critical, sceptical of pre-packaged ideas, yet also wanting to find forms of meaning that connected with contemporary cultural life. These emphases definitely underpin the currents that led to Dave Tomlinson publishing his very influential book The Post-Evangelical in the mid-1990’s in the UK, and we’ve also seen these concerns coming more to prominence in the USA in the emerging church movement of recent years. I think it’s not surprising that if people engage with advanced educational resources and a media critical of received truths, then these emphases will be brought into the life of faith communities. This has got to be a good thing. One of the underlying points in my book Losing My Religion? is that churches can sometimes not be good environments for adult learners, in which they are able to connect their changing experiences with their religious context. If churches want people to think exactly the same thing in ten years time as they think now, then they close down people’s capacity for ongoing reflection and development, and this is intellectually and emotionally stifling. MM: In the past I read Tom Beaudoin's book Virtual Faith: The Irreverent Spiritual Quest of Generation X (Jossey-Bass Publishers, 1998). You interact with Beaudoin as you discuss the relationship between Gen X and popular culture, but you disagree with his thesis that popular culture serves as a "Scriptural text". Can you describe your view in contrast with Beaudoin's, and how might we properly recognize the significance of popular culture and the role it plays in the social and spiritual expressions of Gen X? Gordon Lynch: My criticism of Virtual Faith there was that Tom had moved too quickly from his own interpretations of popular culture to assuming that this was how other people would interpret popular culture as well. There are problems with this, though. For example, I used to set a classroom assignment in which students would watch the video of REM’s "Losing My Religion" and then read Tom’s interpretation of it. Hardly any of them interpreted it in the same way that Tom did. This shows that, as scholars, we need to be careful that what seems to us to be obvious readings of popular culture may not be obvious to other people. In academic terms this has led to growing interest in the "turn to the audience"; actually going out and studying what sense and uses people make of popular culture, and not assuming for instance that just because there are religious symbols in The Matrix trilogy that people who watch those films actually see any religious significance in them. This can be a big shift for people trained theologically who are used to interpreting texts, rather than studying what audiences actually do with those texts, but it’s a really important area to develop. Incidentally, I know Tom well and it’s worth saying that he wrote Virtual Faith when he was doing his MA, which was an amazing achievement. Tom agrees with that criticism about the lack of attention to audiences in Virtual Faith. I think he’s also one of the most innovative and interesting young theologians working in the USA today. MM: In the final chapter you discuss the place of God and traditional religion such as Christianity in relation to Gen X. You mention how many have moved beyond a consumerist approach to spirituality and now seek "to live with a sense of meaning, value and mystery." Can you describe the alternative approach to thinking about God that you discuss in this chapter and how this differs from a traditional Christian conception and an atheistic view as polar opposites? Gordon Lynch: I think what I was suggesting there was that some people are drawn to a mystical faith, grounded in their experience of nature and the body, rather than to atheism or more orthodox, doctrinal religion. It’s an idea that’s developed much more fully in David Tacey’s book, The Spirituality Revolution. I have to say, now, that I think that’s slightly wishful thinking on my part. When I subsequently developed more research on the mainstream club scene, I found very little evidence of this mystical spirituality, and more evidence of a general concern with personal development and well-being, and the quality of friendships and intimate relations. As I’ve suggested earlier, interest in spirituality beyond institutional religion is a relatively small cultural scene. I might be sympathetic to it, but numerically it’s not huge. MM: How has your thinking developed since the book After Religion was written? Gordon Lynch: I think some of the previous answers will touch on this. One thing is that I’ve developed a much greater regard for paying attention to the fruits of empirical research. Theologians and missiologists are too often guilty of making broad claims about cultural changes and patterns without looking to see whether empirical data actually supports these claims or not. This is a shame, as it means that some theological truisms (e.g., about post-modern culture) fail to do justice to the complex ways in which different people live their lives today, and fail to account for how different social variable and structures shape the horizons within which people live their lives. In a similar vein, I hope I’ve learned to separate out what I wish was happening in the contemporary religious landscape from what is actually happening. I think I’ve also become more cautious about how easy communication is between religious and secular views, and in my next bit of work I want to try to encourage some more constructive dialogue there than is currently taking place, courtesy of Richard Dawkins, etc. MM: Gordon, again, thank you for taking the time for this interview. You have given readers a lot to think about as they attempt to live out a spiritually meaningful life in the late modern West, and there is much here for evangelical reflection as well. Gordon: Thanks John, pleasure to take time for this. Can We Talk? 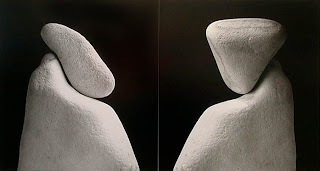 : Evangelical-Mormon Dialogue and the "Dialogue Decalogue"
I have been working through a lot of academic material in preparation for the October course on Interreligious Dialogue I will be leading at Salt Lake Theological Seminary. One of the more interesting pieces of research is an article titled "The Dialogue Decalogue: Ground Rules for Interreligious Dialogue" by Leonard Swidler. The article appeared in the Journal of Ecumenical Studies 20/1 (Winter 1983): 1-4, and was revised and expanded in The Drew Gateway 58 (Spring 1989: 5-9. The entire article from JES can be found here. While Swidler had dialogue between Christianity and world religions in mind when he wrote the article, nevertheless they do present some interesting considerations for dialogue between Christianity and new religions that are relevant to evangelical-Mormon dialogue and the Christian-Pagan dialogue as well. John Saliba has some interesting thoughts related to Christian dialogue with new religions which he put forward in "Dialogue with the New Religious Movements: Issues and Prospects," Journal of Ecumenical Studies 30/1 (Winter 1993): 51-80 that relate to special considerations and possible modifications in Swidler's commandments. I will comment on these in future posts, but for now I present the Dialogue Decalogue for consideration by evangelicals and Mormons. These commandments, and related issues, raise questions as to whether many evangelicals and Mormons are prepared as individuals and religious communities to move beyond confrontation and debate and into dialogue. SECOND COMMANDMENT. Interreligious dialogue must be a two-sided project - within each religious community and between religious communities. 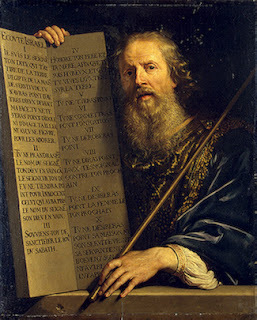 FIFTH COMMANDMENT: Each participant must define himself.... Conversely - the one interpreted must be able to recognize herself in the interpretation. TENTH COMMANDMENT: Each participant eventually must attempt to experience the partner's religion "from within." The Pew Forum on Religion and Public Life had a few news items that were of interest to me in their weekly update. 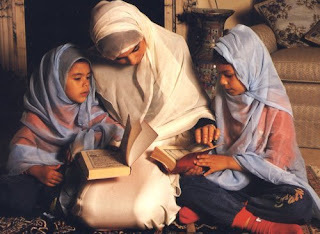 Although Muslims constitute a small minority in the United States, and their holy book and many of their religious rituals are distinctly their own, Muslim Americans are by no means "the other" when it comes to religious life or politics in the United States. 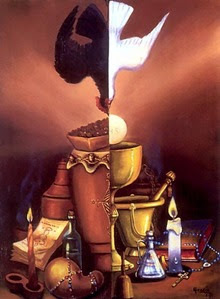 In many ways, they stand out not so much for their differences as for their similarities with other religious groups. The article then develops this notion by examining various areas including the importance of religion in life, the question of religious and national identity as primary, and views on scriptural literalism. The article includes charts that help compare American Muslim perspectives with those of Protestants and Roman Catholics. Nearly a half-century after John F. Kennedy broke the Catholic barrier to the presidency, Mitt Romney is attempting a similar feat. His Mormon faith raises the fur of some conservative Christians. Many evangelical believers — a group that Romney must win over to prevail in the primaries — say the Church of Jesus Christ of Latter-day Saints is not Christianity. Mary Doren, a stay-at-home mom, said Romney's Mormon faith was a deal breaker. "I'm a Christian," Doren said. "I don't think a Mormon or a Catholic is a Christian." Suzanne Clackey, who home schools her children, echoed similar theological concerns. "My understanding is they don't believe in the triune God, and so that would bother me," she said. Whether Romney will deter Christians from voting for him remains to be seen, but John Green, a senior fellow at Pew Research Center says that it might. Polls show that Americans say they are less comfortable with the idea of a Mormon president than with a Catholic, Protestant or Jew, though Mormons rank higher than Muslims or atheists. "When asked in polls whether they would vote for a Mormon candidate, a substantial minority of conservative Christians say they would be less likely to vote for a Mormon candidate," Green notes. "And when those questions are followed up, there's a significant group that says there's no chance that they would vote for a Mormon candidate." Our vision is to help leaders, non-profit organizations, businesses, churches, and community groups to navigate the difficult to follow and often misunderstood world of New Religious Movements (NRM's), and similarly to help give guidance toward becoming missional in the 21st century. Missional Concepts Consulting has the following goals: Mapping popular trends in the occult and NRMs among youth and adults, allaying fears and misunderstandings surrounding unique religious expressions, giving sensitivity training toward religiously diverse individuals and groups, as well as identifying legitimate concerns attached to occult practices, understanding the worldview and the subculture of NRMs, and creating an effective evangelistic and apologetic model towards the occult and NRMs. We will be making ourselves available to denominational groups, churches, schools, and any group or organization which has concerns about the rise of NRMs and desires to form a healthy response to those who are involved with them. Although New Religious Movements are our specialty, we also will be working to help churches navigate the issues of defining what it means to be missional in the 21st century. Both of us are pastors with a passion for developing missional Jesus-followers. However, we also have a deep desire to help churches and other organizations do what we've focused on for years--develop strategies for Jesus-followers to connect with the spiritual marketplace that has enveloped them. We are going to be releasing a post on our blogs with this announcement today. We are giving you a heads up hoping you might be willing to let others know about our consultancy group. If you have a blog, we would greatly appreciate it if you would post something about the launch of Missional Concepts Consulting. Feel free to copy any of the above information, or that which is on our blogs that you find helpful. John and Phil are well qualified and experienced to engage in this kind of ministry. I wish them the best in this new venture and in our continued collaboration. 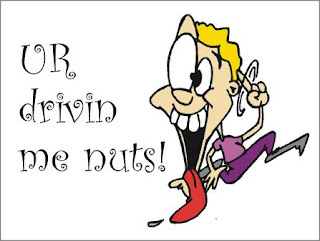 Readers of this blog may not always make the connection to my other blog with its related but differing topics. 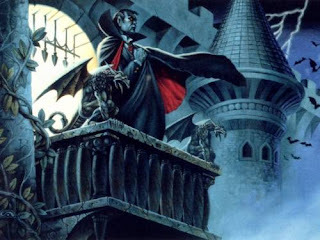 Some readers might enjoy my recent interview with Gordon Melton, a noted scholar of new religions who also happens to be a sought after expert on Dracula and the vampire myth. The interview can be found here. 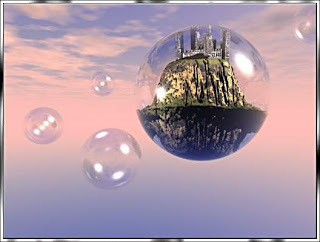 I am participating in this month's Synchroblog with the theme of utopias. The topic was stimulated by my recent post on the topic as I read through an issue of What is Enlightenment? magazine with this as the theme. As I've commented on before, as I researched the Burning Man Festival and intentional community for my graduate degree, particularly as I considered what lessons it might have for Christians who can practice personal and community reflexivity, I considered the aspect of utopian thinking. One of the scholars I interacted with defined utopianism as "a state of mind embodied in actual conduct seeking 'to burst the bounds of an existing order.'" This author went further and noted that there "would seem to be some innate connection between utopianism as a mode of thought and social action and the vision of salvation held out by different world-historical religions." "...the early Christian community and its utopian unity in Christ, drew upon 'the Jewish prophetic tradition of the end of days, [and thus] Christianity was itself an attempt to radically alter the social world of late antiquity in line with a vision of a new order, of a new heaven and a new earth.' This utopian community 'was symbolized by the Eucharist,' and as an alternative community '[e]arly Christianity thus presented an alternative locus of social identity and community that was rooted in the experience of grace and the experience of the Parusia [sic].'" I found this analysis of Christianity as a form of utopianism interesting. I'm not aware of many Christians who consider their church membership or participation in Christian community as a form of a realized eschatological utopia. But thisline of thought is particularly interesting as it is tracd historically in the development of the church. In the view of the scholar quoted above, the Protestant Reformation brought about a change in the assumptions underlying the Christian utopian vision. "Seligman states that, '[w]ith the Reformation, secular callings were given a religious legitimation and were perceived as possible paths to salvation, thus opening up the possibility of a radically new articulation of utopian themes in terms of this-worldly realization of spiritual ends.'" This would make for an interesting historical and theological thread for further exploration, and there may be great validity to it. My research indicates that the Christian celebration of festival as part of the sacred calendar (beyond Christmas and Easter) may have been stamped out of the church in a reaction against Roman Catholicism. Is it possible that the Reformation also brought about changes in the way the church viewed itself and its relationship to culture, and with this came a redefinition of the utopian vision, perhaps myopically so, one that may be perpetuated by evangelicalism? Perhaps the presence of utopian or heterotopian communities like Burning Man can provide a point of self-reflection and redefinition for the church in the West so that it might rediscover the current presence of the Kingdom, a realized eschatology that is already/not yet, and a new sense of Christian community as a foretaste of the utopian vision. Standing Together will be presenting a National Student Dialogue Conference on October 19-20 at Salt Lake Christian Center. The event will feature a number of plenary sessions and workshops that exemplify and explore Evangelical-Mormon dialogue. The list of plenary sessions may be found here, and the event poster can be downloaded here. Dialogue between Christians and adherents of other religions has been part of the inter-religious encounter for quite some time, but it is still relatively new in the context of evangelical Christianity and Mormonism. Evangelical-Mormon dialogue takes place in differing ways in differing contexts, and the response has been mixed on both sides of the religious divide. This course will look at a variety of facets that provide a foundation to inter-religious dialogue, including why it is important in a pluralistic and post-9/11 world, a spectrum of definitions of dialogue, biblical precedents for the process, theological considerations related to the process, evangelical concerns about dialogue, and how dialogue relates to Christian mission and evangelism. A solid foundation for dialogue will be put down and then specific application will be made to evangelical-Mormon dialogue. The course is open to those who attend the Student Dialogue Conference and want to explore the issues surrounding interreligious dialogue in general, and Evangelical-Mormon dialogue in particular, in more depth. The course includes a Student Resource Packet of relevant academic articles, a helpful bibliography, and will use Robert L. Millet and Gerald R. McDermott's Claiming Christ: A Mormon-Evangelical Debate (Brazos Press, Forthcoming 2007) as the textbook. A syllabus and registration should be available at the seminary website as they post course information for the fall semester. But the larger question is, should we be intentionally mixing with Harry Potter? 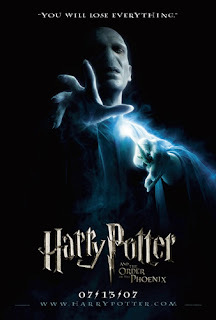 Isn't using the books and films as a recruitment tool for a Pagan-run organization exactly what intolerant Christians blast J.K. Rowling for all the time? Isn't it a bit unseemly to hijack an author's work in order to make money for your own organization? Tomorrow I will be presenting a workshop at the Utah Summer Spirit Fest. This is a Pagan gatherng put together by Eagles Kindred of Utah. The event begins this afternoon and runs through Sunday and it will be held in Ogden. The title of my workshop is "Reflections of a Christian Guest on Hospitality and Dialogue in a World of Pluralism." My relationship with some in the Utah Pagan community has also resulted in an invitation to present a workshop at Pagan Pride Day on September 22 in Murray Park in Salt Lake City. I have been asked to address my Burning Man Festival research and experiences, and how spirituality might be found in such places. I am looking forward to these opportunities, and to fostering additional relationships within Utah's Pagan community. I'm really loathe to give this any more publicity, but as I was checking the sources for the hits on my TheoFantastique blog and came across an article from the Walter Martin.org ministry of Jill Martin Rische as written by Dwayna Litz of Lighting the Way. Dwayna was one of the driving forces behind the blog controversy over the Imaginarium venue at Cornerstone last year where the presentations on the Mexican Day of the Dead and Halloween were misunderstood and misconstrued. "Thank God I will be doing mission work in NYC this year, where the lost are a breath of fresh air compared to another oppressive experience with the 'Jesus People' and their neo-pagan, emergent celebrations of death and zombies and the Divine Feminine at the 'Christian' camp meeting." This sentiment is all well and good except that there was no neo-pagan expression at fesival, death was not celebrated but it was analyzed as part of a genre's narrative, zombies were discussed with connection to Christian theology and popular culture, and the Divine Feminine did not come up as something advocated for Christian worship (although the concept needs to be reflected on in light of concerns over Christian patriarchy in its representation of a genderless deity). One could also wonder why if Jesus People is allegedly neo-pagan and referred to as "Christian" only with the qualifiying quotes, why didn't Litz care enough about these unbelievers in order to brave "another oppressive experience?" Apparently not attending an event and casting judgment based upon promotial material is the engagement of choice for Litz in analysis and evangelism. It would seem that some evangelicals are selective in their reflection on the Decalogue, but I would remind Litz and Rische about the one which frowns on bearing false witness about your neighbor. I bring this to my readers attention to point out that Litz misrepresents the Festival, both this year and last, as does Rische for providing having Litz as a columnist who provides this kind of questionable reporting. These folks present themselves as guardians of orthodoxy and the epitome of discernment, and yet they can't accurately represent a Christian festival. But then again Litz is on record on her blog in denying that the United States ever went to the moon, and has supported Mike Warnke's falsified claims about involvement in Satanism and Wicca, so this latest rant about Cornerstone merely represents her latest example of discernment from the lunatic fringe. It's too bad that other evangelicals and fundamentalists find any value in these sources. We might ask that since they can't manage to accurately understand and describe a Christian festival, can we really trust their analysis of new religions, alternative spiritualities, or trends within the broader Christian church in the West (like the emergents)? Is this the direction that some in the counter-cult and broader discernment ministries are taking us? I'll have none of this, thanks so much. I prefer my discernment done without the need for straightjackets. Christians engage with films in various ways, from rejection, to critique, to embracing these expressions of popular culture. While designed primarily for entertainment, popular films also shed light on religious, spiritual, and ethical aspects of the cultures in which we live. 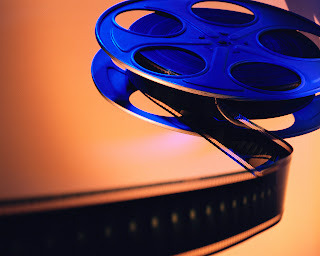 In this course, we will watch and reflect on a variety of genres of film to develop skills in both cinematic interpretation and theological reflection. This will allow us more responsively to engage the spiritual climate of cultures reflected in films and more faithfully to bring the Gospel into conversation with these cultures. Come join us for an interactive exploration of films and faith! For my part will lead the first discussion that lays the foundation for engagement with film. The course textbook is Robert K. Johnston, Reel Spirituality: Theology and Film in Dialogue (Baker Academic, 2000), and I will also be drawing upon Gordon Lynch, Understanding Theology and Popular Culture (Blackwell Publishing, 2005). As I discuss using the texts and practices of popular culture as material for theological reflection I will show clips from Minority Report (2002) (with the issues of divine foreknowledge and free will) and Devil's Advocate (1997) (with the issues of freedom and theodicy). Later on in the series I will lead a discussion on race and religion as we watch the original Planet of the Apes (1968) in its entirety, with the assistance of Eric Green, Planet of the Apes As American Myth: Race, Politics, and Popular Culture (Wesleyan University Press, 1996). I just returned from another great experience at Cornerstone Festival. I was pretty busy this year, presenting two different workshop series, leading a film discusion on a fantasy role playing game (see my thoughts on this at TheoFantastique), participating in a panel discussion on emerging church, and facilitating a discussion on cross-cultural communication and Wicca. In addition, I thoroughly enjoyed many of the presentations in the Imaginarium that touch on areas related to pop culture. One of my seminar series was a popularization of my graduate thesis on Burning Man Festival. Thankfully the attendees were willing to consider a fresh understanding of this festival and intentional community, and the ramifications for Christian reflection. The other series I presented was on the issues of cross-cultural missions and syncretism. This series had its genesis in the unfortunate controversy that resulted from my presentations and other activities in Imaginarium in 2006 where discussion of Halloween and the Mexican Dia de los Muertos or Mexican Day of the Day took place. Some of the more fundamentalist and reactionary brethren were present in stealth mode, and they misunderstood what was presented. After the festival they proceeded to share their "expertise" on the topics with accompanying Bible proof-texting on their blogs. As a result, Cornerstone thought the resulting questions of cross-cultural understanding, missions, and syncretism might flow naturally from such considerations. My series related to these issues was fairly straight forward. The first session introduced the issues by defining the positive concept (in missions and missiology) of "contextualization" or the process of translating the gospel from one culture to another by framing it in a differing cultural context, as well as the negative concept (in theology and missiology) "syncretism" or the inappropriate blending of Christianity with aspects of indigeneous religion. After consideration of definitions I pointed out that while we are used to thinking about such issues in overseas missions contexts, this represents largely foreign thinking in America and the West where a Christendom mindset and a rather homogeneous concept of America that is supposedly familiar with the gospel and Christianity still holds sway. The second session built on the first by nothing that contextualization was a well accepted concept in missions, and that it is exemplified in the Bible where God is the supreme contextualizer. I then shared several examples of missional contextualization, including Matteo Ricci among Confucianists, Karl Ludvig Reichelt among Taoists and Buddhists, various contextualization efforts among Muslims, and the work of my colleagues in Australia in contextualization at Mind Body Spirit festivals. I argued that we need to be drawing upon such examples in the creative exploration of contextualization in increasing frequency in Western churches. The third and final session summarized the preceding seminars and the concluded with a series of basic principles that I hoped attendees would remember. One of the most important noted that while evangelical missions and missiology appears to be moving more in the direction of conservatism in relation to contextualization out of concern or fears over syncretism, in my view the real challenge is our own fears over mistakes (or potential mistakes) in this area. While we are often quick to point the finger at alleged syncretism overseas, we ignore syncretism in our churches in an Americanized Christianity, and this often prevents us from being risk takers in developing new contextualization models and in experimentation. In my view the problem is not that we have gone too far, but rather, I agree with thinkers like Terry Muck at Asbury who argue that we have not gone far enough in contextualization overseas and especially not in the West. I also called for the application of artistry and imagination to this process where "theo-" and "missio-imagineers" can be encouraged to experiment creatively with these processes. There was nothing controversial in my seminar series this year, and nothing that should have pushed fundamentalist buttons in Imaginarium either, so perhaps the blogosphere will not reflect the alarmist postings of those supposedly sounding the warnings of discernment. But then again, last year wasn't controversial either, nevertheless, the fear mongers and reactionaries among us felt as if they had plenty of fodder. I appreciate and value Cornerstone Festival as a place where I can explore my own reflections, I can challenge other Christians to expand their thinking, and I can benefit from the creative thinking of other speakers, not to mention the fine people who put Cornerstone Festival on for us all to enjoy. I can't wait to see what next year holds.